Additional extras: Mike Portnoy vs Neal Morse in "Name That Beatles Tune"
Sell your TRANSATLANTIC items on eBay ! 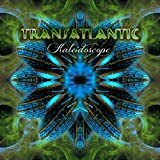 what have started as a side project is now 15 years later a permanent band with 4 albums and live dvds, the latest "Kalivesoscope" is taken from the album title "Kaleidoscope". To illustrate the concept, the band decide to include in the back a screen with visuals of constant moving forms. The band started their career live tour with medleys of covers because they didn't have enough material to make it a complete concert. Now they have to do medleys of their own songs, because they have too much material. So the band played a "Whirlwind" medley and a encore of medley of "All of the Above" and Stranger in Your Soul". The songs are long, but they did squeeze in some shorter and lighter song to get a nice flow to the show. When you know all of the previous albums and songs from the band, it's normal to enjoy a bit more the new songs from the latest album. The music has always been a continuation of Neal Morse's solo music with long symphonic epic, but in song like "Behind The Sun", Roine Stolt can brings his output from Flower Kings. Ted Leonard of Spock's Beard and Enchant replace Daniel Gildenlow playing guitars and vocals. We can appreciate his nice voice despite the more present vocals of Neal Morse. It was interesting to include in the extras some covers versions of "Sylvia" and "Hocus Pocus" with Thijs Van Leer of Focus, taken from another show in Tilburg. The extras also contains a interview and a behind the scenes of the world tour with a long segment of the Progressive Nation at Cruise with Adrian Belew and Jon Anderson playing with the band. Mike Portnoy would say in the interview that, it was one of his top show in his career. First of all, my edition is not the one pointed on PA. I have the 3 CD+DVD edition. Anyway, by now everyone that pay attention on Neal Morse's career know that he's into the 'one studio album, one tour, one live album' situation. 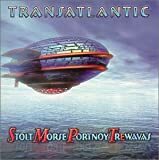 Of course that in one of his big projects, Transatlantic, would not be different! KaLIVEoscope (2014) was released following their tour to support their new studio album Kaleidoscope (2014) released earlier this year. 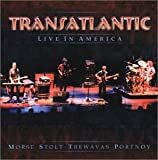 You might argue that we don't need yet another Transatlantic live album, after all this if their 5th (against 4 studio albums). But truth is, each tour has a different taste. I own Whirld Tour 2010 (2010) and I can say that KaLIVEoscope (2014) feels different, by many reasons. First, this time we don't have Daniel Gildenlow as the 5th member of the band, as he was still recovering from his skin disease. Instead we have Ted Leaonard (Enchant & Spock's Beard) playing guitars, keyboards and singing (very well by the way). Second, the band changed the tracklist for this tour so they could play the new tunes and also play songs they weren't playing for some time such as 'My New World', there's even some Focus on the bill too. Unfortunately we don't have 'Duel With The Devil' but as it was always present in the past live albums I can understand why it's out this time. 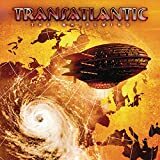 3 CDs may seem too much but for Transatlantic is needed as their show is almost 3 hours long. The cherry on the top of the cake is the DVD that comes in the box. The nice thing about this set is that the CD was recorded in Tilburg (Netherlands) and the DVD in Cologne (Germany), this makes the experience of watching and listening unique instead of just a repetition. 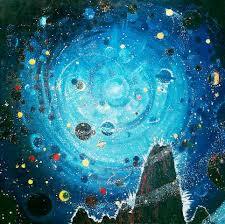 Despite the weak joke with the name of the album KaLIVEoscope (2014) is a highlight for 2014, a year that for me was very weak in new releases, this album comes as a joy for as this ears are tired of the so called 'new prog'. Go for it without reservations! Very recommended. 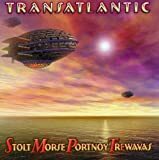 Post a review of TRANSATLANTIC "KaLIVEoscope"